It’s so dramatic to say that this kit changed my life, but without a doubt, hands-down, this kit changed my life. Not only is it the perfect introduction to essential oils and living an oily life, it’s also amazingly cost effective. You get so many different oils with so many different uses that you’ll be able to clean, support your body’s well-being and mental health, and be happy doing it. Check it out! Great question! The Premium Starter Kit comes with 11 essential oils, samples, AND your choice of a diffuser. There are four different diffuser varieties and the one you choose will ultimately determine the cost of your kit. My favorite is the Home Diffuser, but the pretty Dewdrop Diffuser is a close second. In addition to the oils and the diffuser, you’ll also be enrolled in a wholesale membership and get 24% off retail prices on all future purchases! There is NO obligation to buy anything else, but if you want to? Consistently getting 24% off retail prices is amazing! *Depending on the availability, any of the oils may be substituted for the equally amazing 5ml bottles of these oils: AromaEase, Citrus Fresh Vitality, Lemongrass Vitality, Orange Vitality, Tea Tree. Those oils sounds nice, but what do you do with them?! Check out the guide below for ideas and ways that you can easily incorporate the oils in the Premium Starter Kit in your everyday life. Not only can they help support your well-being, they’re also fabulous for replacing dryer sheets (did you know they can be toxic?! ), candles, room sprays, and household cleaners. I want you to love your oils and incorporate them into your daily life, because I know how amazing they can be – and you deserve amazing! So, when you sign up for the wholesale membership with the Premium Starter Kit using my Enroller ID (2012456)**, I will also send you my go-to, absolute favorite essential oils guide book. It’s filled with great ideas for how to use your oils. I’ll also send you a set of Essential Oil Bottle Labels and a 5ml bottle of one of my very favorite essential oils, Spearmint! I’ll also give you a FREE membership into my online Live Happy! An Introduction to Essential Oils eBook (if you’re not part of my oily family, you can order it separately) that’s launching in November 2017. It will walk you through everything from essential oil safety to how to use your diffuser to awesome recipes and uses for the oils that are in your Premium Starter Kit. What good is having oils if you don’t know how to use them, right?! Don’t worry, I have your back. 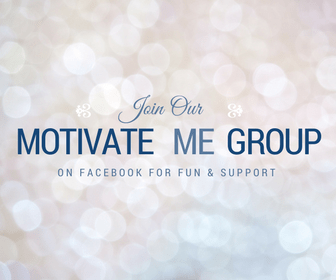 You’ll also have access to our amazing private Facebook group where you’ll be able to ask questions, share ideas, and have a supportive community of others who love and use essential oils. You never have to go it alone! Unending support! You never have to worry about who to ask if you have questions, need support, or want info on oils or products! I have your back! When I first heard about essential oils, I was the same way. I devoured everything I could before signing up for my wholesale membership and getting my Premium Starter Kit. That’s okay, because sometimes we just want to know more! Check out the videos below and if you have any questions, feel free to email me using the contact form. I’m happy to help answer any questions you have. To purchase the Premium Starter Kit and get your wholesale membership, just click the button below. If you’d like to walk through the ordering process step-by-step click HERE (it will open in a separate tab, so that you can follow the instructions while you’re signing up). **To receive the Bonuses from me, you must complete your Premium Starter Kit purchase in the same month that you sign up for an account; otherwise the free gift will be forfeited. Offer good in the US, free gifts may be substituted for purchasers outside the US.